We’re so glad that the art of the photobomb is still alive and well. At last night’s Billboard Music Awards, actor Josh Duhamel photobombed the Cyrus family and we can’t stop cracking up. Known best for a role in All My Children and 2015’s Battle Creek (and the 2004 movie Win a Date with Tad Hamilton! which was one of his first credits) one of Duhamel’s next movies will be the much-anticipated Transformers: The Last Knight. So, while not a musician, it makes sense as to why he was invited to the big event. While we loved his red carpet look (he chose to rock a purple suit) we’re really loving how his face managed to creep up on the Cyrus family in these shots. 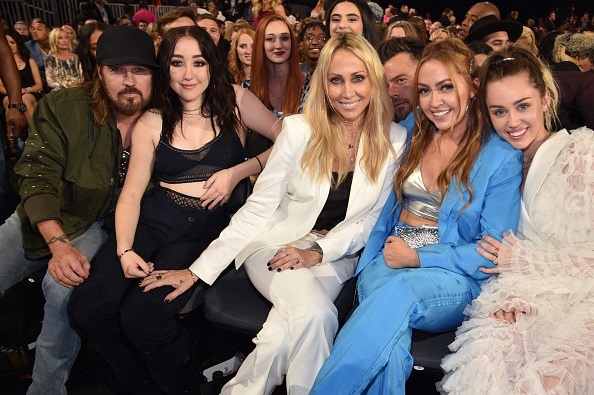 We’re sure that Billy Ray Cyrus, Noah Cyrus, Tish Cyrus, Brandi Cyrus and (of course) Miley Cyrus had no idea that Duhamel was lurking behind them. Hey, no matter what — it’s a pretty good family photo. Duhamel’s presence aside, this year’s Billboard Music Awards was a big one for Miley Cyrus. She played her new song “Malibu” for the first time live, even shedding a tear during the performance. It’s great that she had so much support from her family. And, we’re sure that Duhamel was pretty supportive of her as well.